WE’RE BRAVING THE COLD AGAIN …. 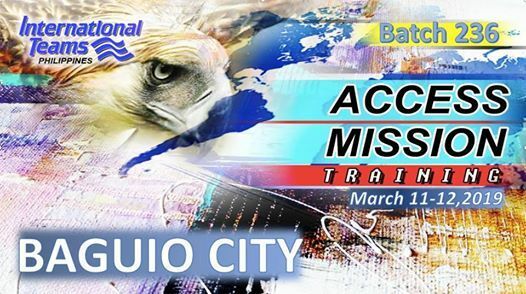 ACCESS MISSION IS HEADING BACK TO BAGUIO CITY!! Don't forget to bring your hoodies and jackets once more. We are going back to our much-favored seminar venue in Baguio. It will be another special mix of an intense learning episode and a mountain retreat experience. The seminar will be held at The Gold Bar Music Lounge, Shanum St., Baguio City. ACCESS MISSION is returning for the second time to this amazing city. The mission fire is obviously spreading and has been inspiring hearts in many special ways. 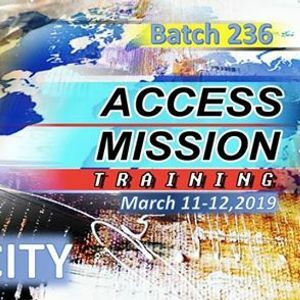 The first Access batch of IT missionaries here are at the core of this amazing mission enthusiasm and are being used by God to encourage and push more believers to attempt great things and pursue big dreams. They have helped generate a high level of interest and are continually spreading word of the wonderful after effects of this seminar to the believers. The expectations have risen, and the venue is set for possibly a more intense mission seminar this coming March 11 to 12,2019. For more information, you may contact our Baguio Mobilization Coordinator, Ptr Noel Leal @ 09206580315 or Ynah delos Reyes @ 09476210935. 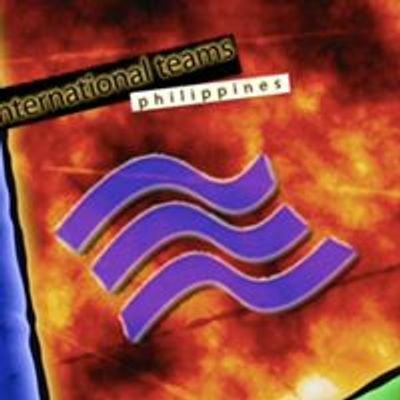 You may also want to check out our website @ www.itphilippines.org for more info on the seminar event. Don/t miss out on this opportunity!! !